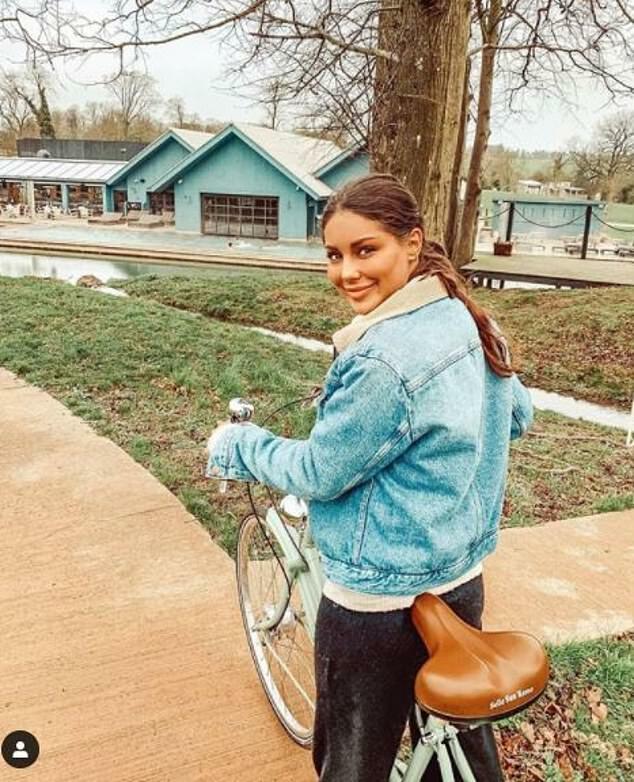 Sultry make-up immaculately applied, reality TV personality Louise Thompson extolled the virtues of her latest beauty gadget in a video posted on the social networking site Instagram. Radiating familiarity, she drew her impressionable young followers into her confidence, the tacit suggestion clear: if they, too, owned her ‘Glowspin’ facial brush by beauty brand Vanity Planet, they could have a complexion like hers. What she didn’t do was make it clear to her million followers that she had been paid an undisclosed sum for producing the video for Vanity Planet, and that it was an advert. After receiving a warning from the Advertising Standards Authority (ASA) last May, Thompson apologised and said she would be more transparent in future. The 28-year-old Made In Chelsea star is far from alone in having flouted advertising guidelines in this way. The picture-sharing platform Instagram is flooded with famous faces who promote products to their millions of fans, who often have no idea their idols are being paid for the sponsorship. That is why the Competition and Markets Authority (CMA) has just conducted an investigation ‘into concerns that social media stars are not properly declaring when they have been paid, or otherwise rewarded, to endorse goods or services’. Thompson, from London, is one of 16 celebrities and ‘influencers’ named by the Government-run CMA who are believed to have failed to follow consumer protection law guidelines. 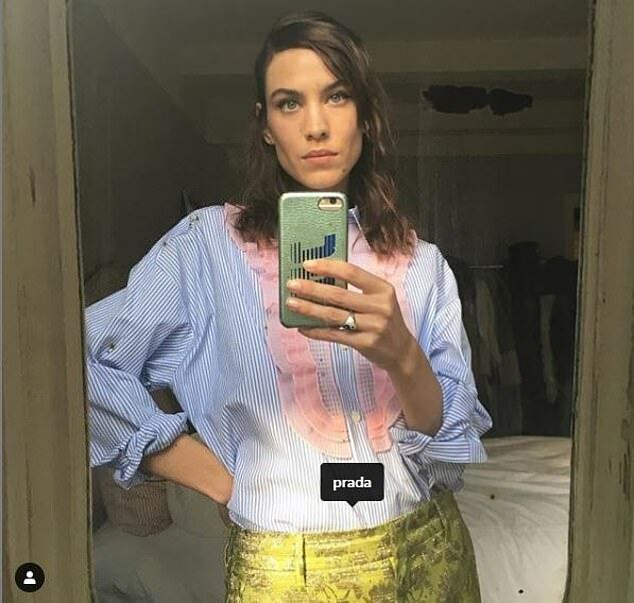 Others include pop stars Rita Ora and Ellie Goulding, models Alexa Chung and Rosie Huntington-Whiteley, and video blogger Zoella, whose envy-inducing pictures of designer dresses, make-up and holidays persuade millions of followers to part with their cash. All the stars identified (and there are apparently others who haven’t) in this investigation, which began last August, have agreed to change their ways. Because none has been taken to court, no ruling has been made on whether they broke the rules — but were action to be taken, they might have received unlimited fines or up to two years in prison. It is also unclear which posts they made that could have been seen to be in breach of the rules. But in future there will be no more rapped knuckles from the ASA, the regulatory body that has investigated individual advertisements or campaigns in the past. If stars are found to have broken the law, the CMA has implied that penalties will be far greater. So why have celebrities turned into such tawdry sellers? Launched by U.S. entrepreneurs Kevin Systrom and Mike Krieger in 2010, Instagram (bought by Facebook in 2012) allows users to post pictures of themselves and their lives online. The photos are displayed in a grid style, with users’ followers invited to ‘like’ or comment below each one. There are now about a billion monthly users, and 95 million photos are posted on Instagram every day — a sizeable portion of those showing off their mostly young users’ clothes, holidays, homes and bodies. Celebrities — including royals and the A-list — love to use the site. Less hostile than Twitter, it provides instant affirmation in the form of ‘likes’. No great literary ability is required. Indeed, stars stuck for words can add a few ‘emojis’ under their picture and simply showcase what, let’s face it, most of them do best: look good. Perhaps not surprisingly, as most celebrities have more than a million followers, advertisers began to realise their power to sell products through social media, signing up stars as ‘ambassadors’ for their brand while ensuring that posting pictures with the product was part of the deal. Celebrities paid to plug a product are supposed to make it clear they have done so under 2008’s Consumer Protection from Unfair Trading regulations. But there are no clear guidelines on exactly how — although most household names write ‘sponsored’ or ‘ad’ next to their pictures. Pop bands such as Little Mix have made it clear on their feeds that they are promoting products, as do TV presenters Holly Willoughby and Davina McCall, both thought to be paid six-figure sums as ‘ambassadors’ for the hair company Garnier UK. They regularly post videos and pictures of themselves with their favoured hair colours to their combined six million followers. Their informal style appeals to women. Last November, for example, Davina posted a shot of herself dyeing her roots in what looked like her bedroom, captioned ‘just a normal Sunday night’. It is not always obvious what, if anything, stars have received in return for promoting a product, so it’s little wonder that ASA statistics reveal a rise in complaints about advertisements on social media, and experts agree the situation needs to change. ‘People could, quite rightly, feel misled if what they thought was a recommendation from someone they admired turns out to be a marketing ploy,’ said the CMA’s chief executive, Andrea Coscelli. Singer Rita Ora, who has 14.4 million Instagram followers, posted a picture of herself in a bikini on holiday in Jamaica, writing ‘Thank you @rockhousehotel’. Supermodel Cara Delevingne posted a picture of herself to her 40 million followers urging them to ‘check out’ Rimmel make-up. 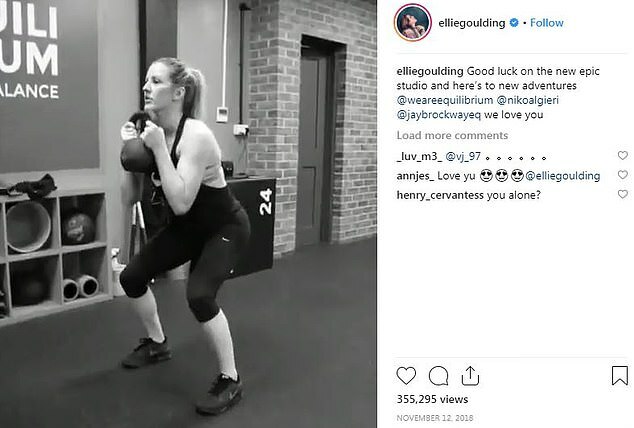 Pop star Ellie Goulding, an ambassador for hair company Pantene, posted a picture of herself with the caption ‘Challenge accepted! #Pantene3minuteMiracle’ with no ‘ad’ caption. It is not known what, if anything, the celebrities were paid to endorse the products. David Beckham, who was not part of the investigation, recently told his followers about the ‘great’ clothes from menswear brand Kent & Curwen, which he partly owns, without an ‘ad’ caption. Made in Chelsea star Binky Felstead, who was part of the investigation, has done the same about clothes from her own company. All were undoubtedly — if inadvertently — promoting a brand. None marked their post as sponsored. The regulator has now announced plans to probe ‘the role and responsibilities of social media platforms’ — arguably the real culprits. Without a doubt, Instagram celebrities are targeting the young and impressionable who spend their free time scrolling through images on their smartphones. Ninety per cent of Instagram users are under the age of 35, and 68 per cent of them are female. Easy, too, to feel inadequate and anxious afterwards. A 2017 Royal Society for Public Health survey of people aged 14-24 found Instagram was the worst social media platform for ‘young mental health’. PLugging products on Instagram is lucrative — and the more followers you have, the more money you make. U.S. reality TV star Kylie Jenner, who has 124 million followers, was rated the highest-paid ‘influencer’ in the world last year, earning an estimated £750,000 for every sponsored post. Singer Selena Gomez and footballer Cristiano Ronaldo came second and third — both capable of boosting their bank balance by £500,000 with just one picture. Less high-profile A-listers can still earn a fortune. 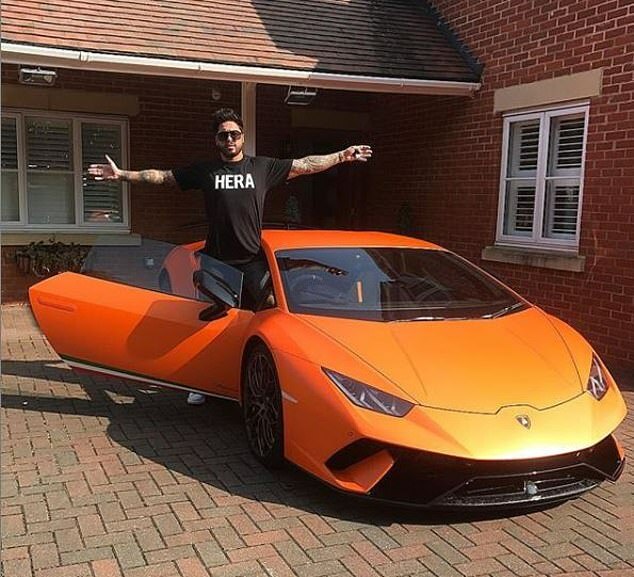 ‘If you’re an elite football player, Premier League and international for instance, you can get £100,000 for a single post,’ Paul Crockford, an agent for athletes and musicians, has said. Kat Richardson, of WaR, told the BBC that Instagrammers with around a million followers could expect £10,000 for a single post; those with 10,000 followers approximately £100. ‘Once you get to 30,000 followers, for a fashion or beauty post, you could be looking at around £750,’ she says. Savvy brands without big budgets have realised they can reach millions of followers with a niche interest in their product on Instagram, while looking as if they haven’t even tried. While a 30-second TV ad can cost £30,000, paying Instagrammers half that amount can target buyers more efficiently, especially as followers often don’t realise it’s an ad at all. Last year a dress by the London label Kitri sold out in an hour after fashion blogger Charlotte Groeneveld shared it with her 344,000 followers as part of a paid partnership with the brand. Occasionally, though, it can backfire. Last September, Instagrammer Scarlett Dixon said she had received ‘death threats’ after a paid-for post for Johnson & Johnson Listerine mouthwash showed her starting her day sitting on a bed surrounded by heart-shaped balloons and tortilla wraps pretending to be pancakes. The picture went viral because of the obviously artificial set-up, with one commentator citing it as an example of the ‘ridiculous lie factory’.